It's the same tech that's used in Firefox Focus and the desktop browser. 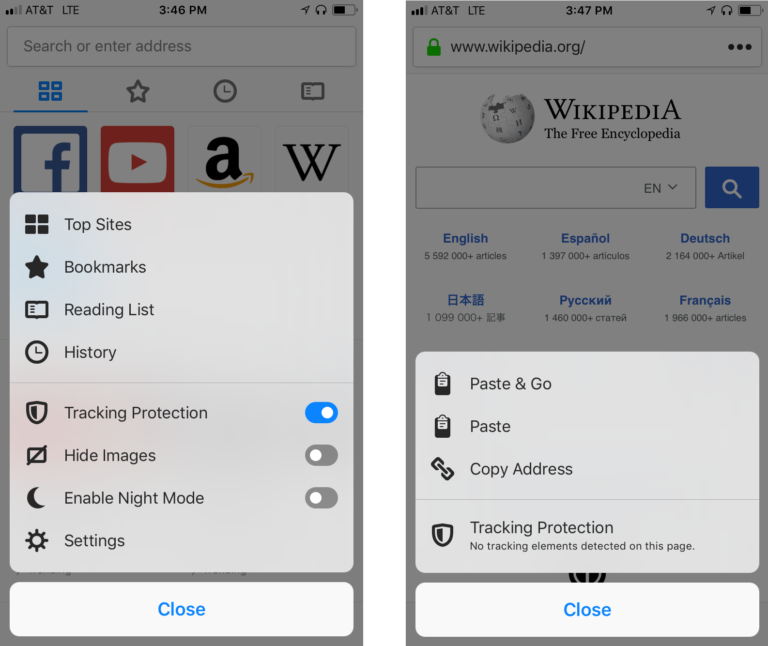 Mozilla has a handful of updates for Firefox on iOS, privacy-minded and otherwise. Now, Tracking Protection is turned on by default rather than being an opt-in bit buried in the settings menu. You can set specific filters so retail sites (or others) can or can't track you, according to the Mozilla blog. The company says that the Tracking Protection is the same tech that's used in Firefox Focus on mobile and the desktop browser. With personal data use and privacy as the topic du jour, it's easy for Mozilla to earn a few brownie points by turning Tracking Protection on by default. But, will that be enough to stop people from installing Chrome or using Safari on iOS? As far as iPad goes, now you can drag and drop tabs to re-order them just like you would on desktop. Just long-press to start moving stuff around. And speaking of drag-and-drop, you can take a tab and drop it into iMessage, Twitter or wherever else you see fit, no copy and pasting required. And if you're in the spirit of using your iPad as a PC replacement, there are a handful of keyboard shortcuts for use too. Enhanced productivity!